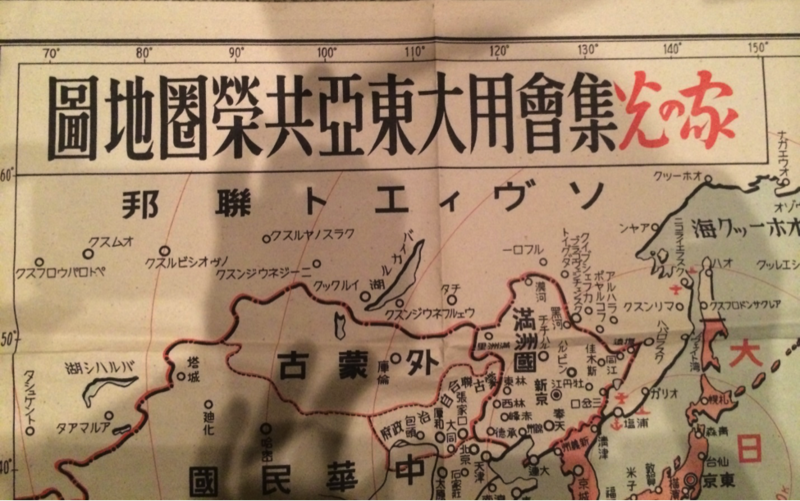 The map was printed June 20, SHOWA 17 (1942) and released on June 25th of the same year. This map was originally for government use only and was not for sale to the public. 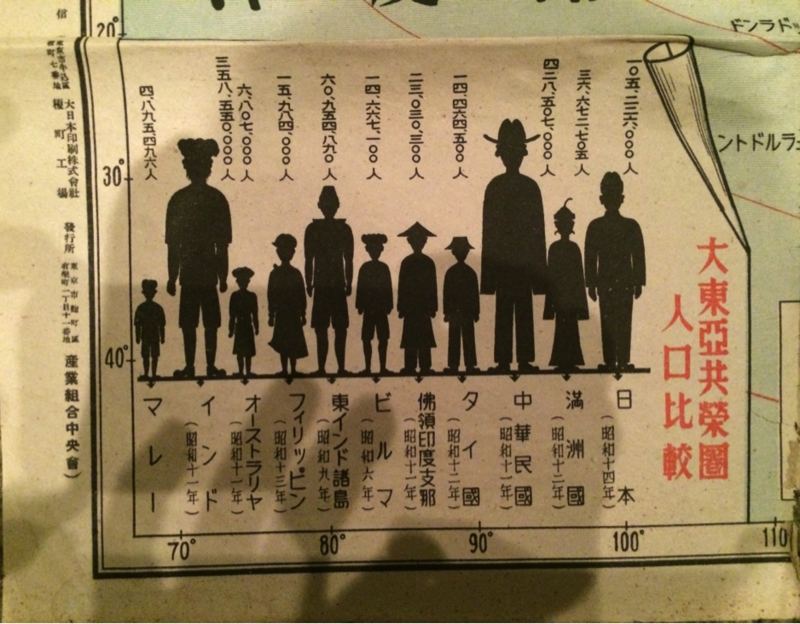 During WWII, mandatory community meetings across Japan were requested by the Government to educate the public about the benefits of the Greater East Aisia Co-Prosperity Sphere, consequentlylarge wall maps were printed for this purpose but few survived in decent condition due to their frequency of use, exposure to the elements or destroyed as evidence. This rare map’s purpose was strictly for government use and no copies were made available for sale to the public. This is a prime example of the implementation of the Greater East Aisia Co-prosperity Sphere as an instrument of propaganda. At these meetings people were shown all of the members who made up the sphere and the resources they provided for the ultimate benefit of Japan. The map measures approximately 31 x 41 and has been expertly linen backed. 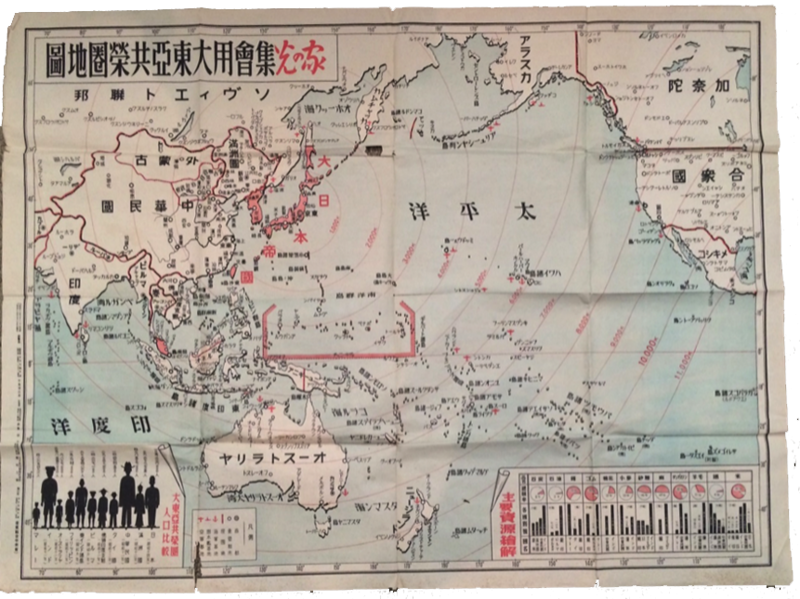 The Greater East Asia Co-Prosperity Sphere (大東亞共榮圏 Dai-tō-a Kyōeiken) was an imperial propaganda concept created and promulgated for occupied Asian populations during the first third of the Shōwa era by the government and military of the Empire of Japan. It extended greater than East Asia and promoted the cultural and economic unity of Northeast Asians, Southeast Asians, and Oceanians. It also declared the intention to create a self-sufficient "bloc of Asian nations led by the Japanese and free of Western powers". It was announced in a radio address entitled "The International Situation and Japan's Position" by Foreign MinisterHachirō Arita on June 29, 1940.